MTN is opening Monday, April 6 at Noon. 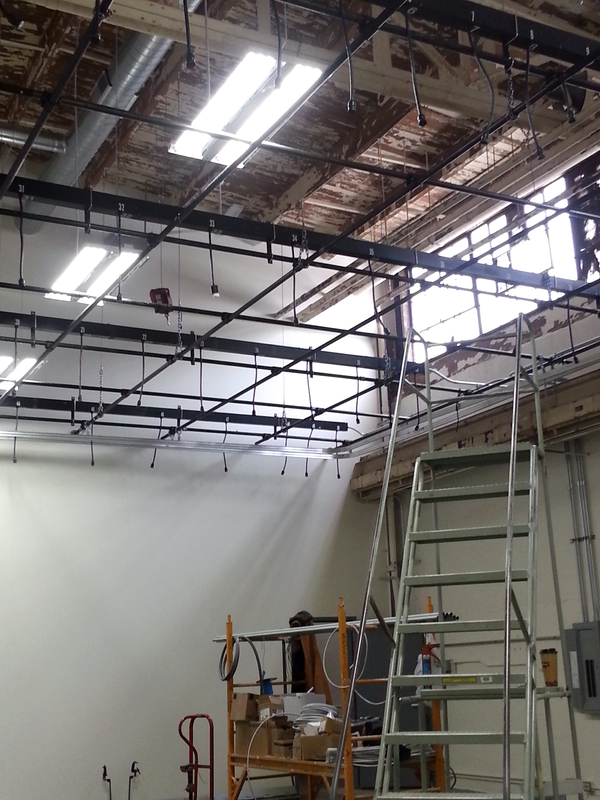 Our editing suites and Studio A will be functional. Please feel free to stop by this Thursday (info below) for a sneak peak. We are very excited to be in our new neighborhood! THE GRID IS UP! The studios looking good. 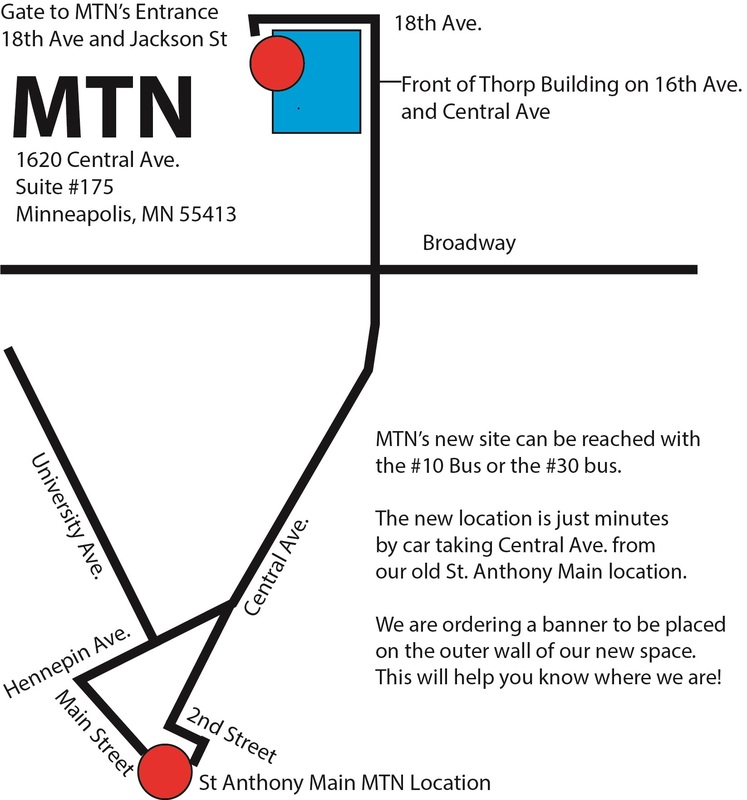 MTN will be open for sneak peek tours during First Thursdays in NE Mpls on April 2 from 12pm-6pm. We will be giving tours on the hour. MTN is a work in progress, and we would love to show you our new home! Stop on by! Check out www.mtn.org for updates on the move. The new space has an entrance at the cross section of 18th Street and Jackson Ave. Which is the back side of the Thorp Building. We will be having a moving sale.give away party at the old space in Saint Athony Main. We will host this sale from 12-6pm on Friday, April 10. Get a momento of MTN for free or for a very affordable price. Drink a glass of wine or beer and celebrate our move and honoring our old home! 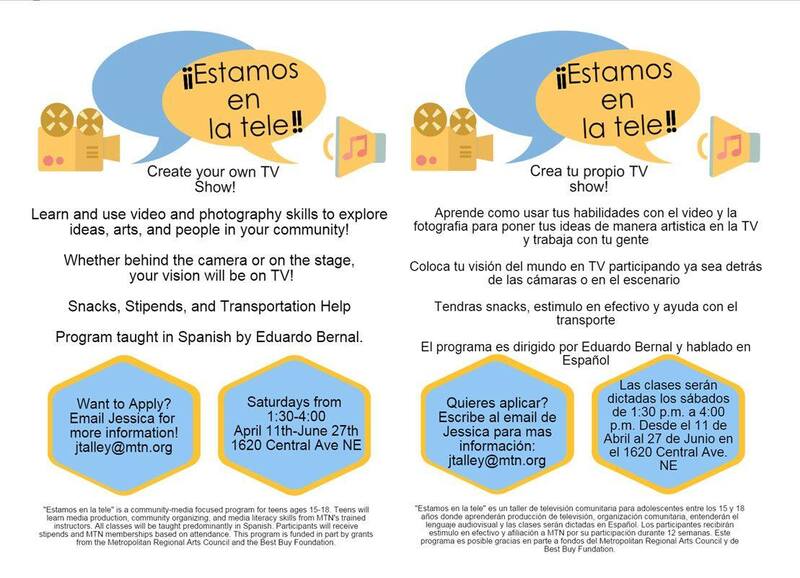 Crea tu propio TV show! Aprende como usar tus habilidades con el video y la fotografia para poner tus ideas de manera artistica en la TV y trabaja con tu gente. Tendras snacks, estimulo en efectivo y ayuda con el transporte.El programa es dirigido por Eduardo Bernal y hablado en Español! Learn and use video and photography skills to explore ideas, arts, and people in your community! Whether behind the camera or on stage, your vision will be on TV! Quieres aplicar? Want to Apply?